Book blurb: An Erris Coven Novel is young adult paranormal romance. When Lexie Anderson’s mother suddenly announces she is marrying a Romanian immigrant, Lexie willingly leaves behind her busy life in Connecticut for her penance in “The Moose Capital of the World.” Small town living is strange enough, now Lexie must cope with her overbearing stepfamily monitoring her every move. They disappear into the woods at night and keep a strange secret locked in their shed. Her once calm mother is now having violent outbursts and Lexie’s little sister is hearing sinister sounds coming from the forest behind their new home. Lexie’s biggest surprise comes when she discovers the boy she has been dreaming about since her accident is living in Maine. Despite Torin’s questionable reputation, Lexie cannot resist the physical and emotional attraction pulsating between them. Animals and people in town are turning up dead and Lexie learns the strange new world she lives in has real life monsters. Just when she decides she wants to be with Torin forever, she must fight to protect her mother and sister from being harmed by a formidable evil. Lexie ran with a confidence only found in dreams. She propelled her body through a lush forest that was full of rich colors and intoxicating scents. She knew where the trail would take her and smiled knowing she would see him again. As she rounded the corner of the worn trail, he stood there motionless. Surprise once again filled those intense blue eyes of his. She could never see his whole face, but his eyes always captivated her, drawing her in. Wrapping her arms around him, she breathed in his heady scent. His arms encircled her and she hoped the moment would last, that she could will herself to stay long enough this time to hear the sound of his voice wash over her. There was so much to say, but the sudden vile presence of death crawled up from behind her as her words turned into a scream…. Lexie reached out and felt the cool space next to her on the bed. As always, she was alone. The dream was so real. As much as the ending always terrified her, she could almost smell his pleasing scent on her pajamas and feel his touch. Her dreams were easily forgotten, but not this one. She had been having the same dream, with a few slight variations for months. Even while lost in slumber, she was always aware she was dreaming of him and hoped for a different outcome, but it never happened. Of all mornings, she wished it had a happy ending. Mornings were never her specialty, but the hurried sounds of her new stepbrothers banging through the small condo made this particular morning disturbing. They awoke her from dreaming of him with their obnoxious shouting of directions and generalized complaints. Over the last month of getting to know them, it had been their noise that required the biggest adjustment. She no longer lived in a calm home with just her mom Ruby and sister Ella, she now lived in what felt like a testosterone zoo. Or a psychotic reality show. Stretching across her bed with a complacent smile, Lexie decided not to allow them the privilege of making her last morning in her childhood home unpleasant. They could try rushing her all they wanted but she would take her sweet time getting out of bed. Once her heart rate settled from the dream’s frightful ending, the warmth and fulfillment of his embrace left her feeling content and flushed. As she rolled onto her side and hugged her pillow, she grasped on to the lasting image of him just behind her eyelids and wished her dreams of him didn’t always end so abruptly. She never met anyone like him – tall and dark haired, he was intense but beautiful. Although he was an illusion, thinking of him was comforting. As a rule, Lexie never bought into the idea of ESP or the guy on TV acting like The Ghost Whisperer, but sometimes she wished she could. If there was a possibility he was really waiting for her in the woods somewhere, she would shake inside out with excitement and search the great northeast to find him. My subconscious created perfection for me. It’s just a shame he doesn’t really exist. With that thought, her enthusiasm faded. Even if she did find him here, she would be leaving him behind, just like she was leaving her home, friends and the remnants of her dad. Why Lexie was being forced to move to the “Moose Capital of the World” was not her favorite topic to think about. She had so many plans for her senior year of high school, plans that would form lifelong memories with her best friend Liz. They were going to hop on a train and catch a Broadway show in New York, maybe visit some colleges in Boston, and most definitely skip a little school to go to Six Flags. What will I do without her? She has kept me going through this last year. Lexie’s father Ed died the year before. It was such a painful time; she did not think she would ever accept that he was really gone. His lasting presence in her condo was wrapped in the memories of him sitting in the living room grading papers or coming through the door after being at the college all day. The worst part was, she caused his death and moving was not going to ease that memory. 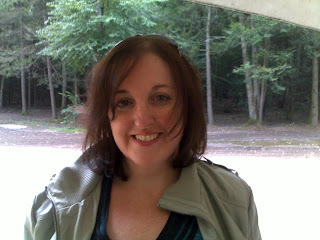 About the author: Bonnie Wheeler lives in Torrington, Connecticut with her husband and three children. When she isn’t writing or spending time with her family, she is attending classes at the University of Connecticut. Bonnie loves cooking, writing, reading, and shopping. Fate Fixed was released in July and is the first novel in The Erris Coven Series. She is hoping to release the sequel later this Fall. We are giving away ONE ecopy of FATE FIXED to a commenter below. Please leave your email address so we contact you. We thank Bonnie Wheeler and Bookish Snob Promotions. That sounds really good! I checked it out at amazon and see good reviews for it. I have it in my wish list and will def be checking it out. Thanks for the giveaway! !